“Alchononymous” is a Ventura County adult. We are grateful to him for sharing his experiences with us, and appreciate his honesty. The viewpoints expressed in this post are not necessarily that of Straight Up. Hello, fellow Straight Up Blog Readers! Let me take a quick second to introduce myself before I get into the crux of what I want to share with you all. I am a 30 year old man who has been the unfortunate recipient of a DUI, and want to take some time here to share my experiences with you – both positive and negative – in hopes that you may learn from them, and hopefully help you save yours or someone else’s life down the road. Back in 2008, when I was 25 years old, I was working for a top Media & Entertainment Studio as a managing Software Engineer. I had graduated from college in 2005 with a degree in Computer Science, and had worked for top companies in Southern California, and was now managing a team of creative geniuses. Needless to say, I felt like I was on top of the world, and that I could do basically anything without any serious repercussions…..I inevitably realized that I was dead wrong! One winter night, right before the Christmas Holidays, I went out for a Christmas Company Holiday Party. I had fun with colleagues, drank and danced the night away, and had a typical good time expected of a 25 year old during the holidays. After having several drinks and eating a heavy dinner (which I thought would help alleviate the drunkenness), I began to drive home. Clearly she was out to get someone, and I was THAT individual THAT night at THAT time. She accused me of drinking and forced me to do the alcohol breathalyzer test, after she stated “ I Passed”, whereby she continued to say the machine was wrong, and it was time to take me into the station for further testing. So started my 24 hour journey into the abyss of jail HELL. To condense a rather long and pitiful set of experiences, Ill point out a few so you can understand the breadth of hell I went through. I got shoved around by cops, most of whom had Napoleon complexes, was forcibly held down while blood was drawn from my arm without my consent, thrown around in the dirtiest of cells with obnoxious criminals, got my civil rights revoked by a**hole sergeants, got in a fight with a gang banger, and then thrown into the psych unit with the crazies to get taught a lesson all in the span of 24 hours. If that alone doesn’t deter you from drinking and driving, let me continue this horrific tale with the additional negative repercussions post jail time. 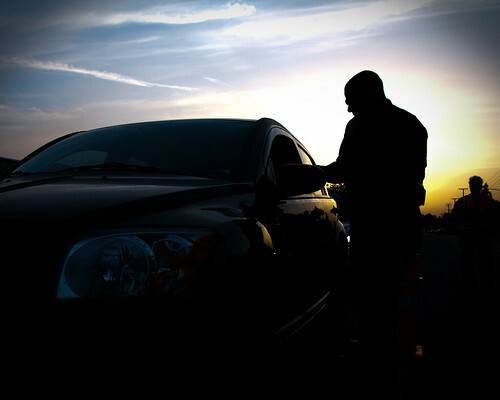 Loss of license anywhere from 1-5 months, depending on how vigilant you are with the DMV. Also they do NOT care if you have a license, car or a ride to get there, as soon as you are mandated you HAVE to figure out a way to get there otherwise you will get disqualified. Additional monthly fees and check-ins with your Probation Officer on a monthly basis o Any law violation can cause you JAIL TIME!! One of the most negative impacts, that not many people talk about, is the impact to your career. If you are in a government agency, or looking to work in one, you can almost say goodbye to your job forever. You will lose your wages, ability to provide for yourself (and possibly family), benefits, career progression, etc. If you are looking for a new job, your search even becomes more restrictive as most companies in the private sector do discriminate or eliminate candidates due to their criminal records, even if no harm was caused or if it wasn’t a felony. This was a major blow to me, as I was working but looking to search for a new job, but had to stop for a period of time as most companies ask you to disclose this information, and I did not want it to weigh on me negatively. So major opportunity costs can be attributed to this issue as well. So ladies and gents, my ignorance, and brazen attitude of thinking that I wouldn’t ever get caught for impaired driving put me in this situation. Do I believe that I was unfairly pulled over, yes, did I feel that I was targeted and poorly treated by the authorities, yes, however do I now feel that this could have been prevented, YES. Regardless of my thoughts of why this happened to me, I still had broken the law, and I have to be accountable for that – and I have been. I have gone through this treacherous process, endured a hellish experience both in terms of financial and time/freedom perspectives. But of above all of that, I didn’t injure myself or anyone else. It could have been much worse with either the death of myself or someone else, or life behind bars. The above consequences can be multiplied 10 Fold, if that had happened. People clearly this experience is not worth it, and the laws are constantly changing, it is important to always make sure you have a DD if you decide to be partaking in alcoholic drinking behavior, or have a driver or just do it in a safe place where you do not have to drive anywhere. This first go around was tough for me, but let me tell you it gets worse, and I wrote this first Blog to share my experiences, albeit it bitter and negative at first, but even when you think you are prepared or have learned your lesson, things can drastically change for the worse, and flip your life back upside down again….in “DUI Chronicles: And the Hellish Adventure Continues…”, my next blog post, I’ll explain what this means, so please stay tuned…and please do read it, as it may save you or someone you love some major hardship in your unforeseeable future.